November 10, 2018…Saturday afternoon at FitTeam Park the Men’s Senior Baseball Fall Classic Championship was under way for the 55+ Division. 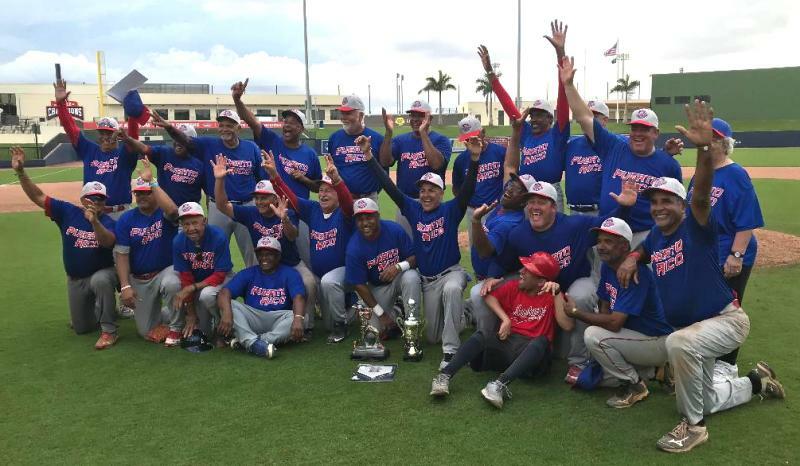 The two teams scheduled were the Albany Cubs and the Puerto Rico Athleticos for a 9-inning bout. First to bat were the Athleticos (due to seeding giving the Cubs home field advantage) and not much came from them as they had a 5-pitch 1-2-3 inning. Bob Bolt led-off with a single for the Cubs in the bottom of the first but was quickly displaced as Mike Gerard grounded into a fielder’s choice. The Athleticos shut them down, as the game went scoreless for the first three innings with neither team getting past first base. In the fourth inning the Athletico’s played much like the weather in the sky, with thunder. Shortstop Angel Olmo started the inning off with a single and was followed by Feliz Andino’s strikeout that got past the catcher, advancing Olmo to third and Andino to first. Ronald Berrios followed up with a bloop to center scoring Olmo. The Athletico’s took advantage of the tired Cubs starter Ron Massaroni, who was replaced by Darrell Duncan. However, Duncan gave up another two runs before finally closing out the fourth after the Athletico’s batted around. Massaroni finished with three innings pitched, five earned runs, one strikeout and seven hits. Rain started to casually come down in the fifth but with no major impact of the game. Though after that big inning by the Athletico’s the game had slowed down. An additional run came in for the Athleticos in the fifth, as Jose Delgade scored after being knocked in by Jose Castrillo’s base hit to center field. 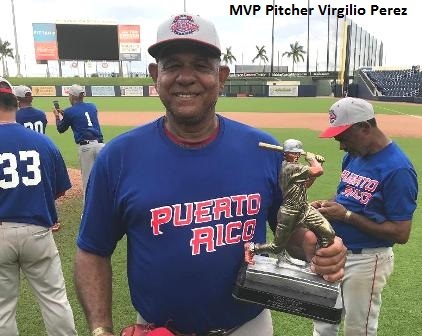 Athletico’s pitcher Virgilio Perez kept the game out of reach for the Cubs as he pitched a shutout through 7 1/3 innings, only allowing six hits within the time frame. Dan MacGuire’s hit to center field in the seventh allowed the Cubs to finally get on the board, knocking in Jerry Rosen. The Athletico’s responded in the top of the eighth with a run of their own, as Josue Ortiz scored on third baseman Ron Lochner’s error. In the ninth Perez allowed one more run for the Cubs before putting it away himself, as Lochner grounded the ball back to Perez, who ran it to first himself to close the game out with a final score of 9-2. Perez got the complete game victory, allowing only two runs, 11 hits and five strikeouts. 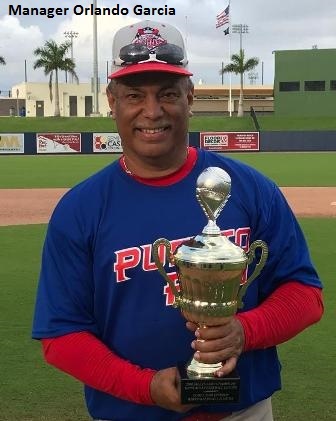 Manager Orlando Garcia, upset he had to choose only one MVP, ultimately decided on Perez who had pitched a full game the previous day as well.